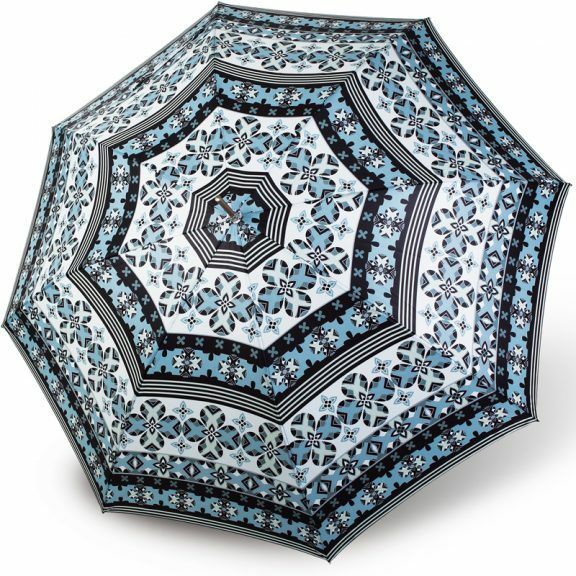 If you’re looking for ladies mini umbrellas you’ll be hard pushed to find a more stylish small umbrella than this. Introducing the VOGUE Murcia, a ladies mini umbrella, fully automatic and available in a choice of 4 different coloured geometric designs. 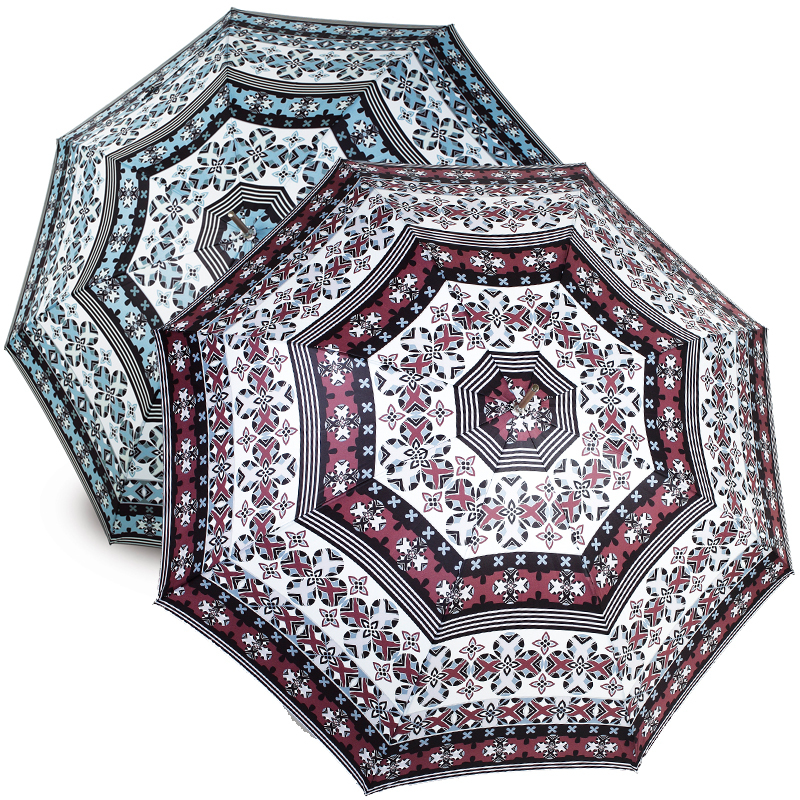 Introducing Murcia ladies mini umbrellas from our exclusive VOGUE Designer collection. The Murcia ladies compact umbrella features a dynamic flowery geometric design (very reminiscent of the Alhambra) on it’s Teflon coated Pongee canopy. 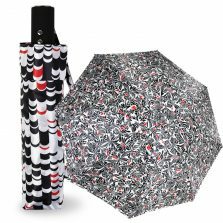 Its a super sleek mini umbrella that is both fully automatic and windproof! The canopy has a span of 95 cm when open and only 29 cm when closed! Weighing in at 317 grams, this brolly is big enough to cope and small enough to carry. 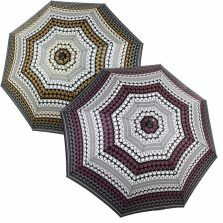 These stylish little umbrellas are the ideal travel / shopping companion. 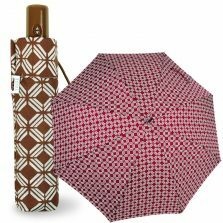 Keep one stowed away in your bag ready for that next sudden downpour. As well as this, the Murcia comes in 4 almost retro look colours. Celtic Green, Perfect Plum, Baltic Blue and Autumn Gold. 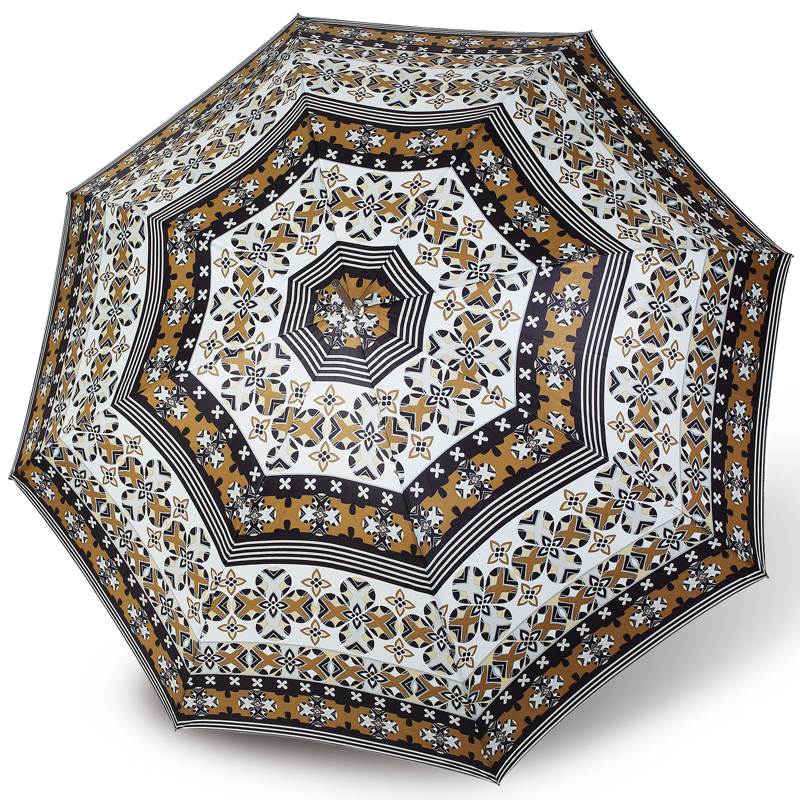 Vogue designer umbrellas are made with uncompromising quality and innovative design. So, every little detail is thought out. From the design of the fabric, the windproof frame to the matching coloured handle and fabric sleeve. Its all about the details. This is what makes a Vogue umbrella stand out from all the rest! 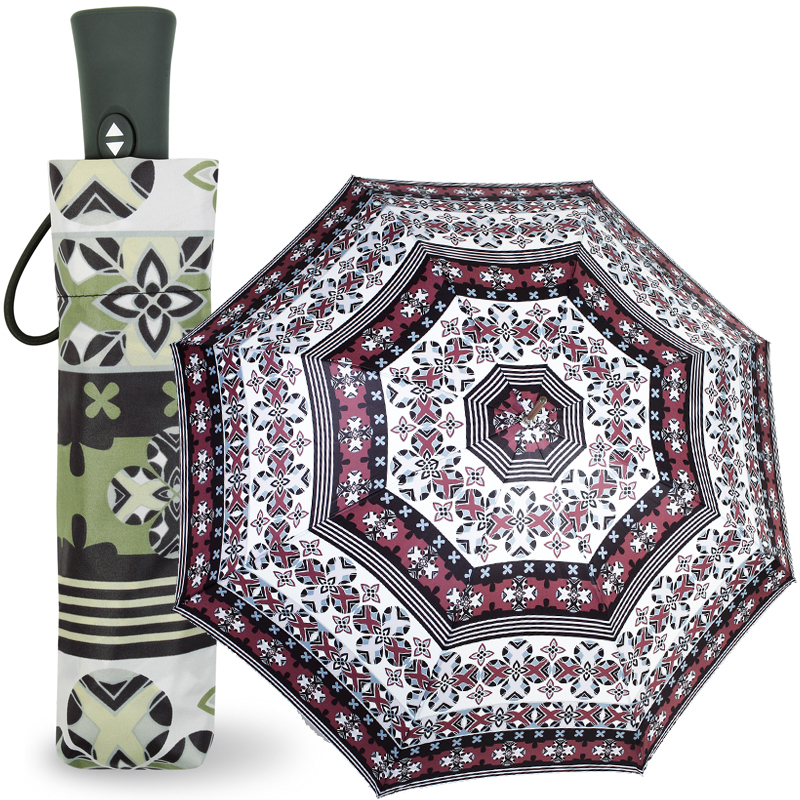 The Murcia is a fully automatic ladies mini umbrella – meaning that at the push of a button it goes up easily. Push the button again and the canopy collapses. You then just push it down and pop it back in it’s sleeve. A no hassle, fully functional, very stylish piece of rain protection equipment. Don’t leave home without one! Looking for a ladies mini umbrella but Murcia is not quite what you are looking for? Click and check out our ladies compact umbrellas! Not the umbrella for you? Well we have approximately 1000 for you to choose from! 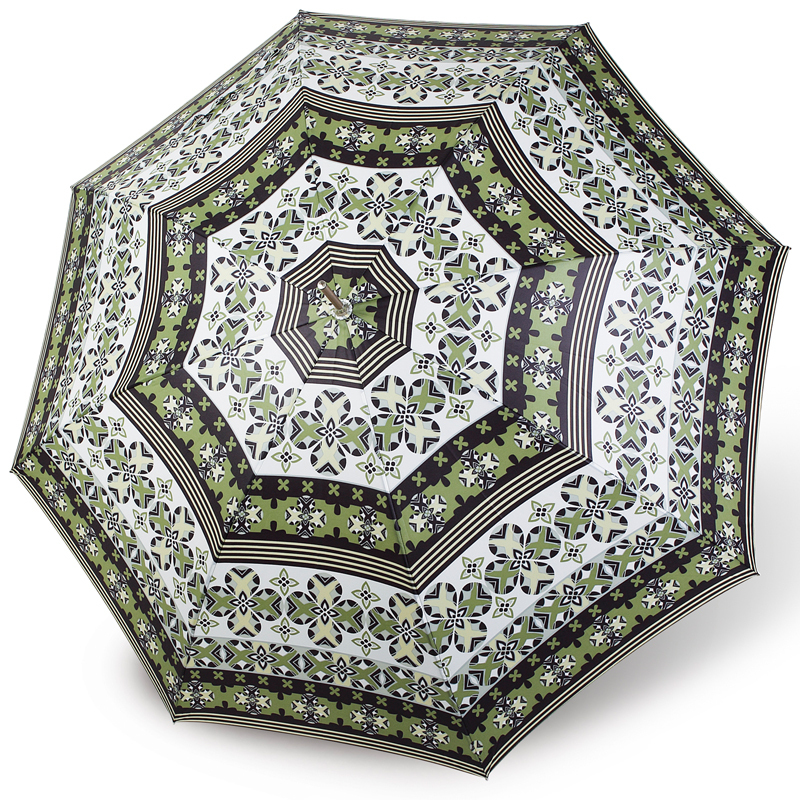 Check out the rest of our range of quality VOGUE designer umbrellas!